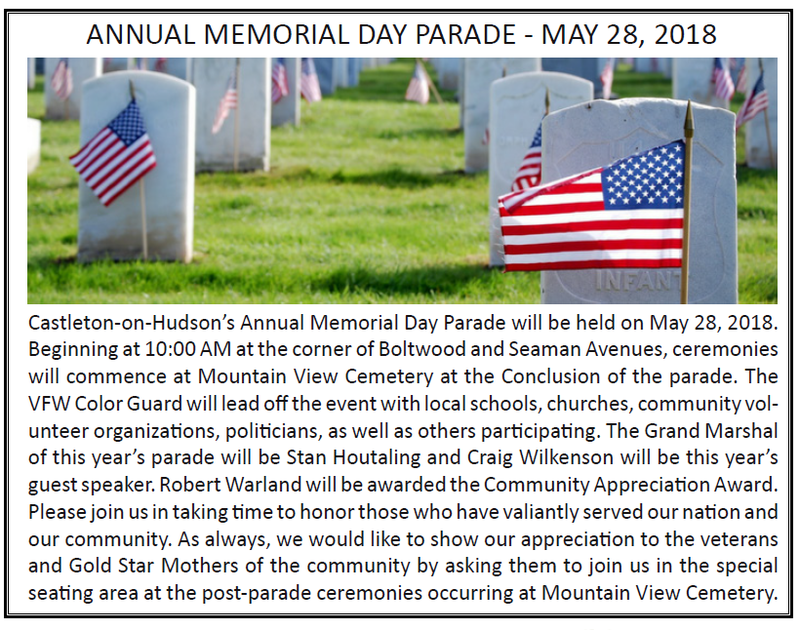 The Village of Castleton wishes to extend its sympathies and support to the family of the person tragically lost on May 17, 2018. The Village is committed to safety in our community and will fully cooperate with authorities as this matter is investigated. 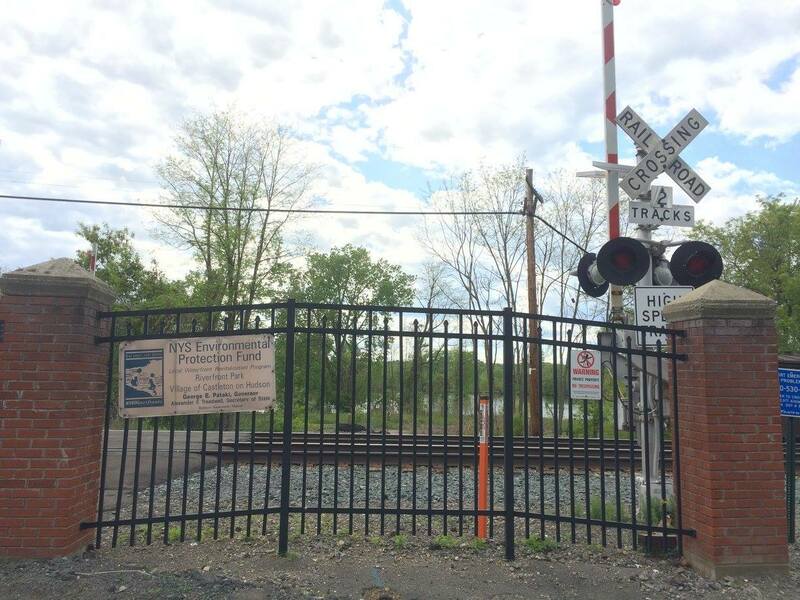 The Village refers all questions regarding this incident to the Schodack Police Department and Amtrak. 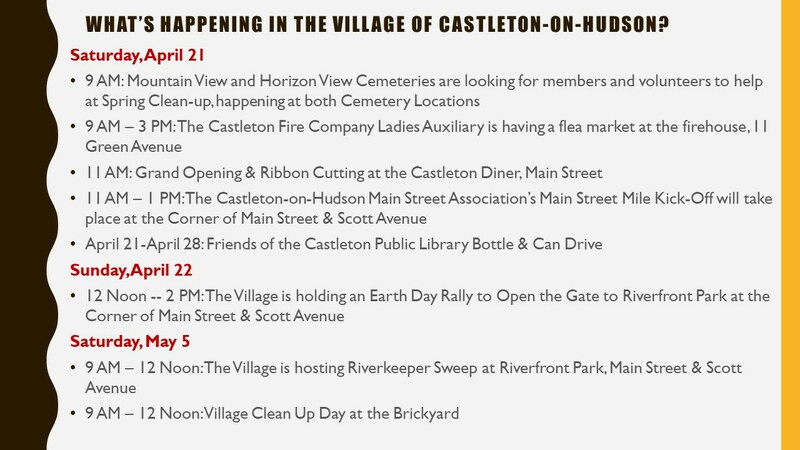 A Special Meeting of the Village of Castleton-on-Hudson Planning Board to address the subdivision at 38 Seaman Avenue will take place on Wednesday, May 2, 2018 at 7:00 pm at the Village Hall. 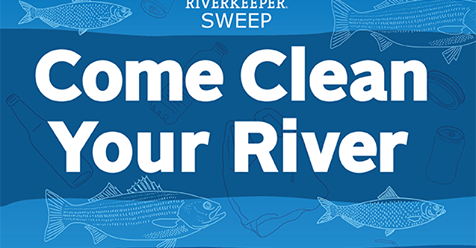 Join us as we once again clean up the Hudson River as part of Riverkeeper’s Annual River Sweep. The Gate will be Open on Saturday, May 5, 2018 from 9-12 so come down (to corner of Main Street & Scott Avenue), visit Riverfront Park, enjoy the beautiful view, and lend a hand! 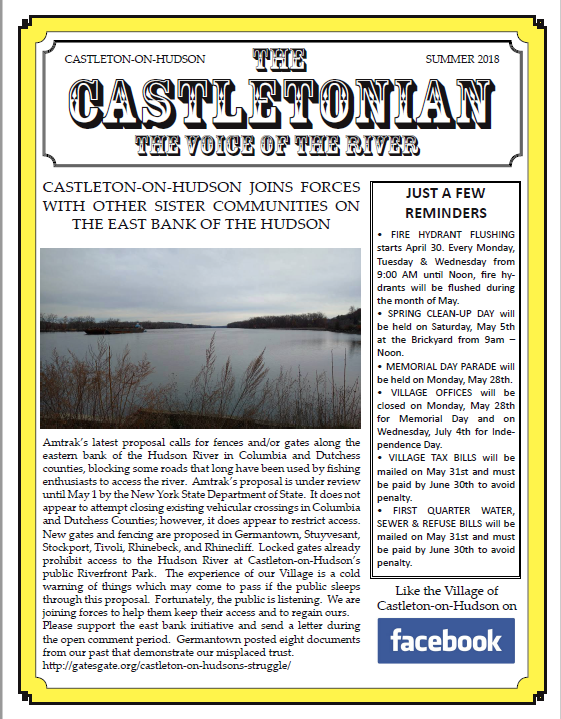 Please come to a rally and join in demanding Hudson River access for the public in Castleton-on-Hudson! Rally will be held from Noon to 2 PM at gates to Riverfront Park @ corner of Scott Avenue  and Main Street [9J]. 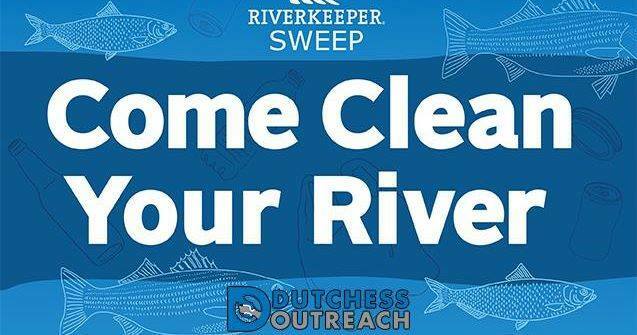 On May 5, 2018, the Village of Castleton-on-Hudson's Riverkeeper Sweep location will be at Riverfront Park - corner of Scott Avenue (150) and Main Street (9J).